“Concerto of the Bully” is a narrative interlude involving an internet singer named Chow (Cherry Ngan) with a unique retentive memory for everything she has ever heard. When she is kidnapped and held on a fish raft, waiting for her pop singer boyfriend to pay a ransom, she comes up with a plan to provide spiritual music therapy for her captor. Director Fung Chih-chiang and Art Director Chet Can will make and appearance on behalf of the film at the Tuesday, October 2nd screening. “When Sun Meets Moon” is a romantic drama, as yes, two people named Sun (Daichi Harashima) and Moon (Kathy Yuen) meet because of their shared interest in astrology. Director Benny Lau takes his star-crossed lovers and separates them, but like the Sun and the Moon their proximity to each other’s existence allows their love to endure. Season Seven of APUC – curated by founder and veteran film programmer Sophia Wong Boccio – runs from September 12th through November 14th, 2018, and will highlight films from South Korea, the Philippines, China, Thailand, India, Hong Kong, Japan, Tibet, Vietnam and Taiwan. The main feature film presentations will occur at the AMC River East 21 in downtown Chicago, with other various locations for special events, in addition to a number of free screenings. 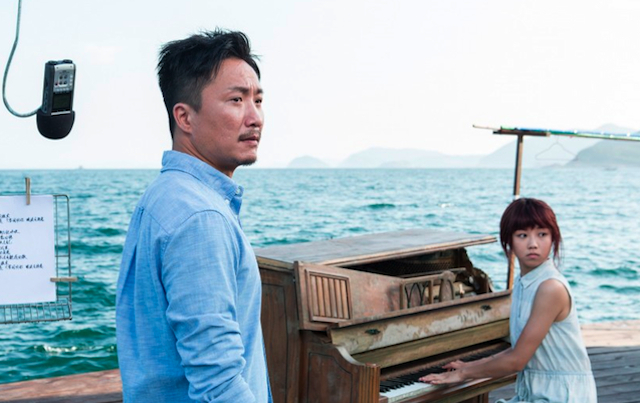 Season Seven of the Asian Pop-Up Cinema continues with “Concerto of the Bully” (October 2nd, 2018) and “When Sun Meets Moon” (October 3rd), part of the festivals’ Centerpiece Double Feature on Hong Kong. Both screenings are at 7pm at the AMC River East 21, 322 East Illinois Street, Chicago. For a complete overview Chicago’s Asian Pop-Up Cinema, click here.